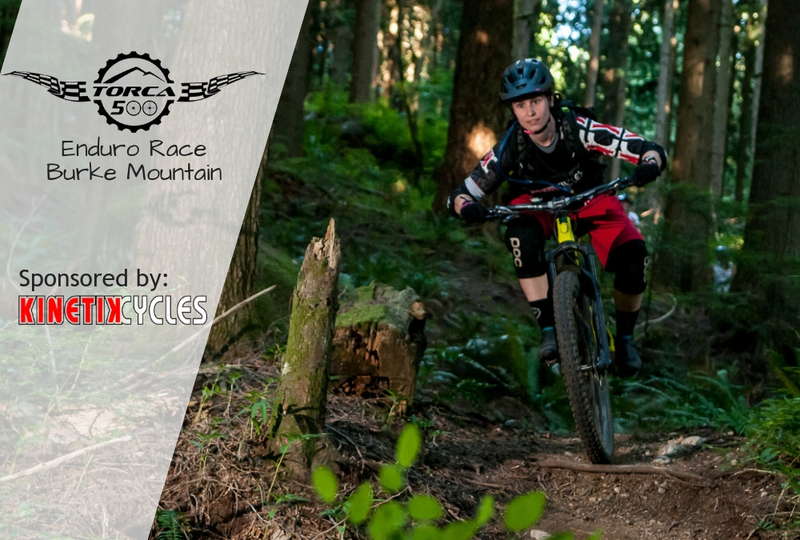 Our first Enduro race of the season is happening on Burke Mountain! TORCA 500 races are a great way to meet new people, challenge yourself, try new trails and most importantly, have some FUN! Plus a little bit of friendly competition among friends always leads to a good time. We also have some great draw prizes. But you have to be there to win! There will be 3 timed stages. Fastest time overall takes the win. Location: Burke Mountain. Racer check-in at the Y in Harper Road (between Overtime exit and Dawg entrance). Go up from the yellow gate at the gun club. Register for the TORCA 500 Enduro on Burke, here. Thank you to our community partner, Kinetik Cycles, for sponsoring our first Enduro race of the season. Not interested in racing but would love to help out? Become a volunteer! Please contact [email protected] if you’d like to volunteer for this race. Any help is greatly appreciated.